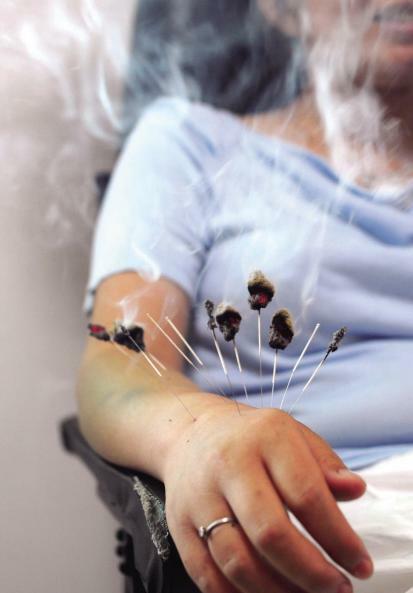 One of the many modalities used in Chinese medicine is Moxibustion. 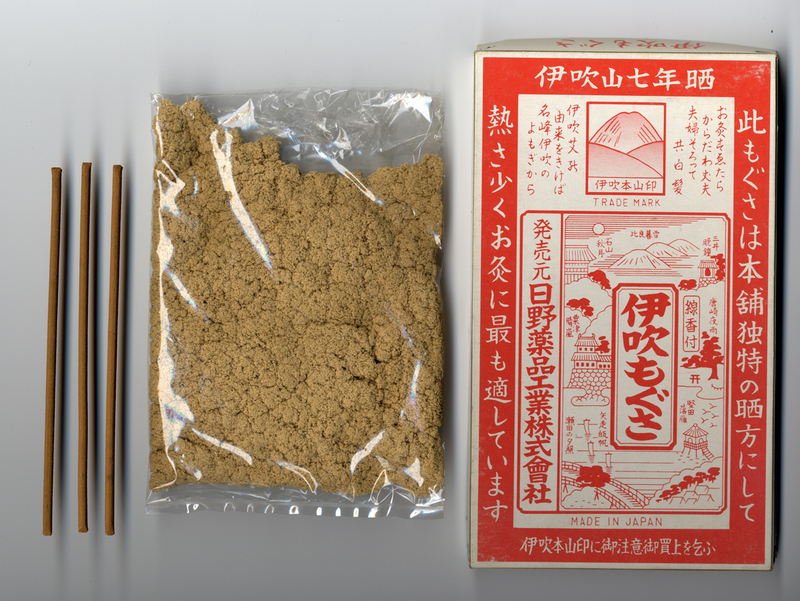 Moxibustion is the burning of the herb artemesia vulgaris, or mugwort. It comes in many forms, and can be burned both directly (sitting directly on the skin) or indirectly (burned above the skin without making contact). It can also be applied to the end of inserted acupuncture needles, placed in a box and placed on the skin (to warm a larger area) and a common treatment is to fill the navel with salt, then place a slice of ginger, then place and burn the moxa on the top for digestive and other problems. Moxa is grown in all parts of China but the most famous type comes from the Jon Zhou area. Moxa is dried so that it can be stored and used. It is not used fresh as it contains so much volatile oil that when burned, it would produce too much heat. When the leaves are dried and pounded, moxa wool is produced, and when dried for ectended periods in the sun, can be stored for later use. Moxa is both bitter and pungent, and its flammability and warming nature make it ideal for building up the body, warming the channels and warding off disease. 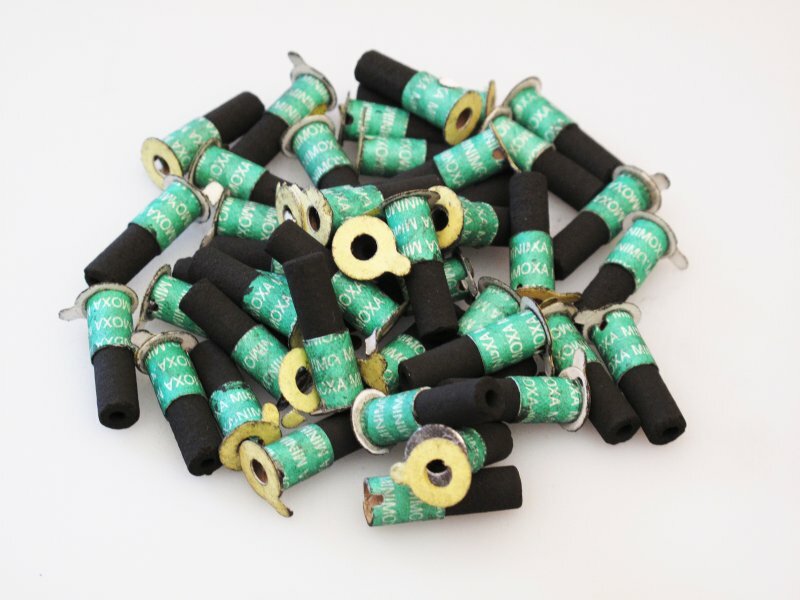 So… what is moxa used for? Moxibustion has many practical applications, and is often used a lot in cold climates, due to its properties of warming and expelling cold. Below are some of the main functions of moxa. Moxibustion warms the meridians and dispels cold. Clinically, it is applied for all diseases caused by cold, blood stagnation and blockages of the meridians, such as cold-damp arthralgia, dysmenorrhea, amenorrhea, stomachache, epigastric pain and cold herniation. Cold very often can enter the meridians if you have underdressed in cold weather, live in a damp place, or have your neck exposed on a cold day. Sleeping in the room with a fan or with air conditioning running can also cause cold to get lodged in the channels and lead to disease. Moxibustion has been widely applied to many serious diseases due to deficiency, sinking or depletion of Yang Qi. Among them are enuresis, rectocele, prolapse of the genitalia, menorrhagia, leukorrhea, and chronic diarrhea, just to name a few. Moxibustion, because of its heat, has the effect of keeping the actions of Yin and stomach Qi in balance, and in turn, it dispels blood stasis and dissipates pathological accumulation. In a clinical setting, it is commonly used to treat diseases related to Qi and blood stagnation (Qi stagnation is a milder than, and usually precedes blood stagnation), such as the early stages of acute mastitis, scrofula and goitre. Masses anywhere in the body are considered stagnations, with the most severe being cancer. Moxibustion on Zu San Li (ST36) or other points, has the function of boosting the immune system to prevent diseases and maintaining health. This method was used preventatively in China for thousands of years, and is still used to keep the body strong so that illness never has a chance to develop. This method can invigorate healthy Qi and strengthen immunity to keep one full of vitality and increase longevity. Below are some different types of moxibustion and some of the different ways it can be applied to the body. Moxa sticks, and a bag of moxa wool. Scarring (direct moxibustion that is allowed to burn on the skin, sometimes leaving a small scar) moxibustion is prohibited on the face and head, and areas close to large blood vessels. 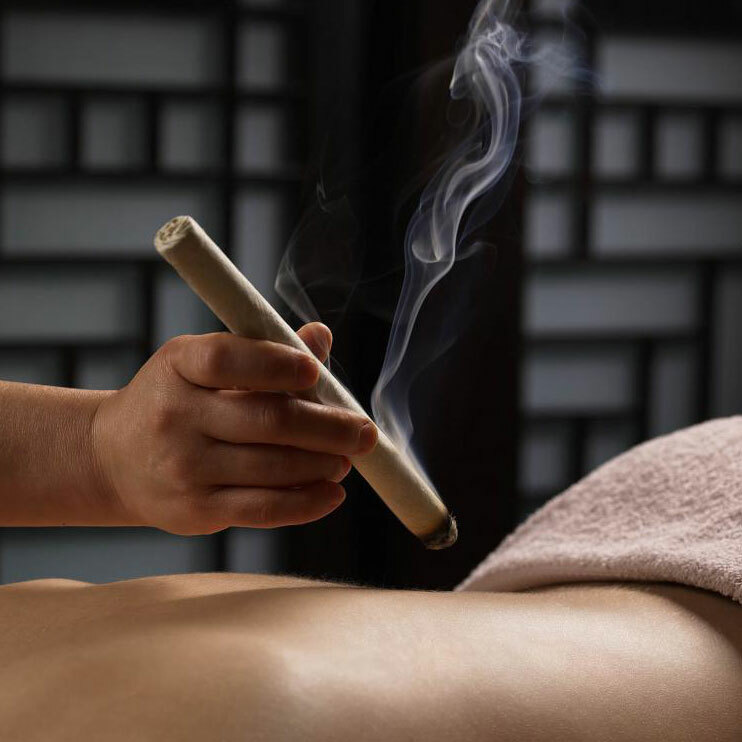 Moxibustion is prohibited on the abdomen and lumbo-sacral areas during pregnancy. Precautions should be taken with patients suffering from skin allergies or ulcers. Traditonal treatment methods are some times more better comparatively to moder medicnes. Good info. Can moxa treatment help psoriasys, how?